Thank you for your support in May! I’m shipping May & June* rewards combined on/before June 13. In order to make the production deadlines, I’ve completed some of the June rewards in May… To avoid confusion, all the digital rewards will be part of this digital download package for May. The digital June rewards will also be available on my post feed in June. Starting June 13 I’ll be going on maternity leave for at least 2,5 months. I’m planning to return in September or October. During my leave, my Patreon campaign will be paused and you will not be charged. You will retain access to my post feed for as long as you remain a Patron. You can download your tier rewards with the password that has been sent to you via Patron Message. If the password isn’t working, try typing it instead of copy-pasting. That should do the trick 😉 The download link expires on July 14, 2018. May + June mail will be shipped on or before June 13. All patrons who pledged $15+ to both May and June will receive an A5 notebook with Khaghar on the cover. 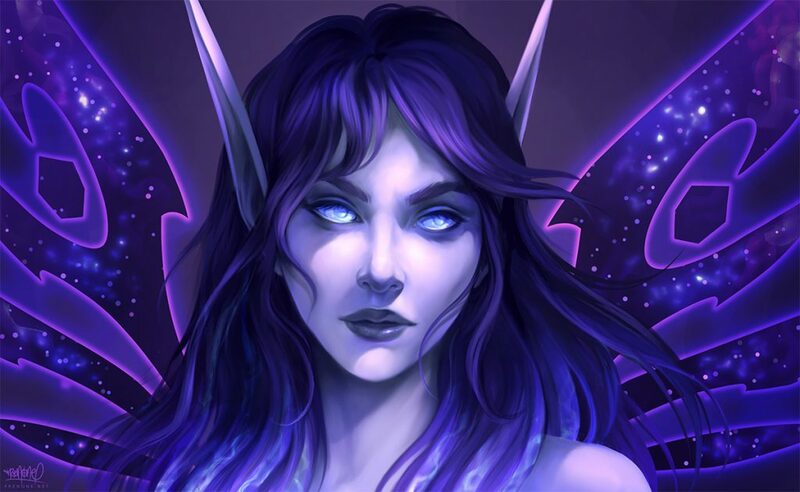 $35+: Mermay postcard, Chewie sticker, 20x30cm signed Void elf print, 21x14cm signed prints of Khadgar, Spirit Healer and Valkyr, custom tuckbox*, holographic Khadgar playing card* and Certificate of Authenticity*. * only included for Card Collectors. $50+: all of the above + coin purse of Murky. There will be no monthly coupon in June, as I’ll have limited time to fulfil orders before my leave. Playing card orders will be shipped combined with your rewards, if possible (and I’ll refund any excess shipping costs).